All parents stress about choosing the perfect gifts for their children at Christmas. If your child has written a letter to Santa, you may feel under pressure to fulfil their wishes. Many of us feel like we need to get our children a whole range of gifts to keep them happy at Christmas. Kids love the excitement of seeing loads of gifts under the tree on Christmas morning, but the reality is once everything is opened, many gifts will be forgotten in favor of their favorite presents. Instead of trying to buy your children as many presents as possible, try to think about their main interests, or what will keep them entertained for longer. Here, we have outlined the types of gifts you may like to consider depending on your child’s age, before showing some of our favorite picks this holiday season. There are so many different types of gifts your child may like for Christmas. Choosing the ‘perfect’ present depends on many factors such as your child’s age, interests and your budget. It’s also worth noting here that many of the ‘most wished-for’ gifts tend to sell out quickly, sometimes long before Christmas. If your child has asked for something you know will be really popular, it’s worth starting to shop around as soon as possible. Choosing gifts for a boy at Christmas can be quite dependent on his age. Of course what suits a 3 year old will not be the best choice for a 12 year old! Also, many gifts are not suitable for children of all ages due to small parts for example. It’s best to keep things simple for your toddler at Christmas. One and two-year-olds don’t really understand what Christmas is all about. Choose a few small things for your child to open, perhaps things they really need or some small toys based on their favorite cartoons for example. Young children tend to become a bit overwhelmed during the holiday season, with all the decorations, food and visitors. Too many exciting gifts can lead to your toddler becoming stressed out and tired. When your son reaches this age, he is likely to become more aware of what Christmas is, and who Santa Claus is! For kids in this age range, there is a lot of choice of potential gifts. What to choose really depends on your boy’s tastes and interests. 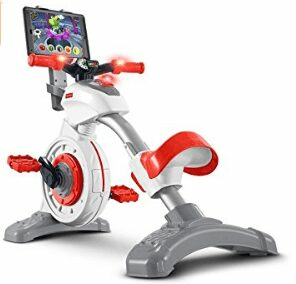 There are loads of great choices for young boys – if you are looking for something ‘big’ maybe their first proper pedal bike, if they have mastered the balance bike. Boys this age will also love power wheels, and with so many options there’s sure to be something to suit his personality. There are ATVs, motorcycles, sports cars and even tractors. Boys this age become a bit more difficult to buy for. Their interests may become a bit more specific, and they might loose interest in toys more quickly. At this age, your son may appreciate a LEGO set – they will likely need help from parents and this is a great way to spend quality time together. Board games are also a good choice for kids this age, and a perfect way to keep everyone entertained over the festive period. When your boy becomes a teenager, choosing perfect Christmas gifts becomes a bit more difficult. Many boys of this age want video games and consoles for Christmas. This makes shopping for them a bit easier, but it can be quite expensive. If they already have a console, maybe they would like some new games, or some accessories to go with it. Young teenage boys might also still like a LEGO, or other building kit for Christmas. Many of these have a huge number of parts, to keep your son busy when things quieten down between Christmas and New Year. Teen boys might also enjoy programming toys and games, which are fun and also educational. There are loads of quality brands of toys which make perfect presents for young boys. Again, the brand you choose might depend on the age. For younger boys, manufacturers such as Fisher-Price, Playmobil and Little Tikes are always popular. LEGO is a classic brand which has products to suit all ages, from toddlers right up to teens. 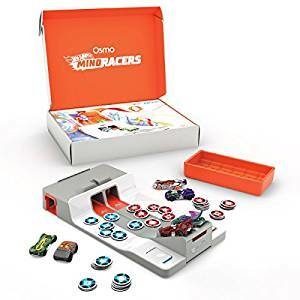 Older boys may enjoy STEM toys, such as Sphero or Osmo. Classics such as K’NEX and NERF remain popular with young boys, so it’s worth considering these brands when Christmas shopping for your son. Here, you will find our top holiday toys broken down into 3 age group categories – under 5 years old, 5-12 years old and 13+ years old. We’ve chosen 9 toys for each age group, to give a wide range of choices. There are toys to suit a range of budgets, from $30 to over $200, so there’s sure to be something to meet your needs. Here are our favorite toys for toddler boys. There is a range of toys, including ride-ons and building toys, as well as educational toys to help your boy learn problem solving skills. This award winning toy is great for getting kids active, whilst also allowing them some TV time. It’s perfect for youngsters aged 3-6 years old, and the seat can adjust to fit your growing child. Youngsters will learn all the key skills they need to help prepare for kindergarten, whilst having great fun at the same time! The Smart Cycle teaches children about spelling, phonetics, reading and rhyming, to name just a few. The Fisher-Price interactive toy is compatible with many smart devices, such as some tablets and Apple and Amazon TVs, amongst others. There are many other games which can be purchased separately once your child masters the basics. These feature many cartoon characters sure to be known and loved by your boy, such as SpongeBob and Blaze. The bike itself is made from steel, to ensure it can withstand some rough play by your preschooler! This would make a great gift, as it can grow with your child for many years. 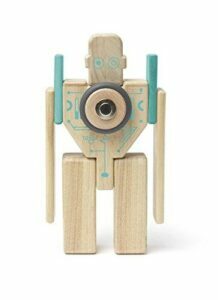 This magnetic wooden block set is ideal for children who love robots and building. The toy is simple enough to be used by children as young as 1 year old, but it is also entertaining enough for kids much older than this to enjoy, too. The robot can be built in any way your child chooses, and the blocks are compatible with other Tegu Future sets. This makes it a great gift – your child can start a collection to add to over the years. The wood for these blocks comes from sustainable forests in Honduras. All the products are manufactured here – the company is having a positive impact on people living here. The blocks themselves are safe for kids of all ages – there is no lead or plastic used and the lacquer is non-toxic and water-based. All of these factors make the Tegu Magbot set a great choice for environmentally-conscious parents who want to make a difference in the developing world. 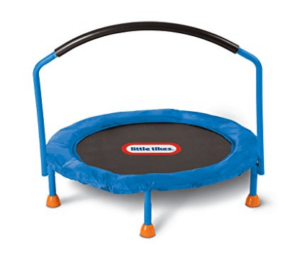 This toddler trampoline is perfect for youngsters to burn off some of their excess energy over the festive period! The large handle is great for giving young children extra stability when bouncing. Similarly, the jumping surface is quite large, to keep the trampoline stable. It can hold up to 55 pounds, meaning your child will have years of fun! The best-selling trampoline is suitable for indoor use only, making it the perfect addition to your little boy’s playroom. It is lightweight and easy to move, so he can bounce wherever he likes! However, it is great quality, as expected from Little Tikes, and can withstand lots of rough and tumble from young boys. The trampoline is perfect for Christmas, as it takes only 10-15 minutes to assemble. It could easily be built after being unwrapped, or quickly assembled in the morning before the kids even wake up! This classic toy is sure to be remembered by parents and grandparents – it has been around for 100 years! 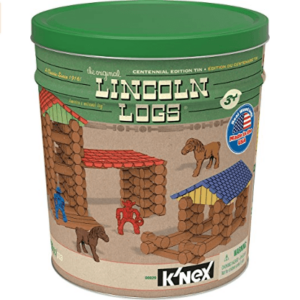 Little boys will love using their imagination to make their very own ranch, complete with horse and cowboy figures. Parents will love this building toy – all the pieces can be neatly and easily stored in the reusable tin can. Little builders will be kept busy for hours – the kit includes over 150 pieces. There is also an easy-to-follow manual which shows children how to build 3 models. This toy makes a great Christmas present as kids will get years of enjoyment from the kit. It also offers many developmental benefits such as hand-eye coordination and fine motor skills, as well as being great for young imaginations! This wooden train set is perfect for young railway enthusiasts. Toddlers as young as 18 months can enjoy building different layouts with the track pieces, rainbow bridge and the colorful train with a carriage. It’s the perfect Christmas gift for boys, as it is expandable and grows with your child as they get older. It’s compatible with all other BRIO railway sets and trains, and also some other brands of wooden train tracks. The track can be added to for future birthdays and Christmases, to ensure your growing toddler never gets fed up with their trains! 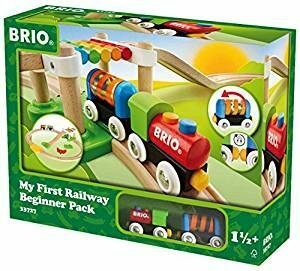 The BRIO brand is well-known and loved by parents and children alike. Parents can rest assured that everything is made from the highest-quality materials which will last a lifetime. 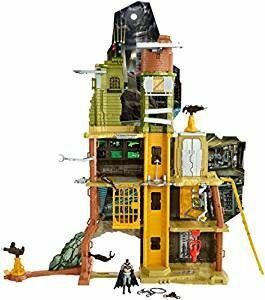 This huge 4′ tall playset is perfect for young fans of the Justice League. It has realistic details just like in the movie, including loads of fun features such as a zip line and an elevator. The set comes with a 6″ Batman figure, but there are lots of other figures to collect. This makes the playset a great present for your son – other friends an family could give him more figures to add to the collection. Boys will have years of fun with this action figure playset. It offers 4 levels to play on, broken into 10 different areas. They’ll never become bored! There are interactive elements such as missiles to be launched and interchangeable weapons, to encourage your child to play imaginatively. 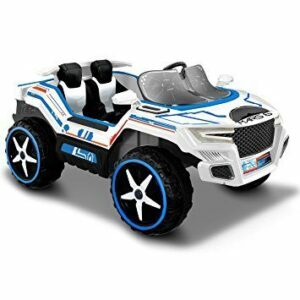 This off road power wheels is great for little boys who can’t wait to be able to drive. The vehicle is ideal for growing children – there are two speeds (2.5 and 5mph) so beginners and more advanced drivers can both enjoy the ride. The car can also reverse, and offers sound effects, LED lights and folding mirrors. Your little boy will feel so grown up copying mom and dad driving the car! If buying the 12-Volt power wheels for Christmas, it’s worth keeping in mind that it takes up to 10 hours to charge fully. This gives up to an hour of drive time – perfect to try it out once all the presents are opened. Kids will have years of enjoyment with their new car – it can hold 2 riders weighing up to 130 pounds combined weight. It can also be used by children as young as 3 years old, as it is simple to drive. This Disney-themed power wheels is another great choice for young boys. 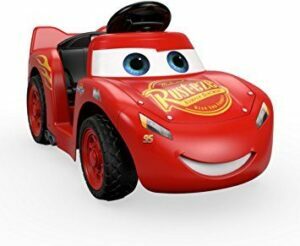 All fans of the Cars movies will simply love this fun ride-on toy. 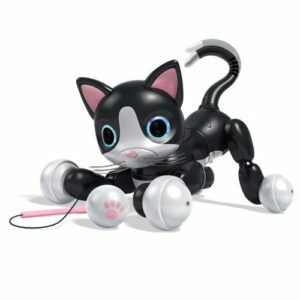 It features realistic details just like the popular character and offers fun phrases and sound effects, too. It even offers Spanish phrases, to help children pick up another language at an early age. The electric ride-on car reaches a top speed of 2 mph, making it ideal for younger drivers. It is easily operated by a push button meaning no complicated foot pedals or controls. Toddlers as young as 18 months will be able to use this car, and it can hold up to 18kg, giving your child a few years of usage. The car drives well on hard surfaces and grass, giving your child complete freedom to drive anywhere! This fun board game is great for introducing young children to the world of coding. It is great for helping kids develop problem solving skills, as well as thinking logically. 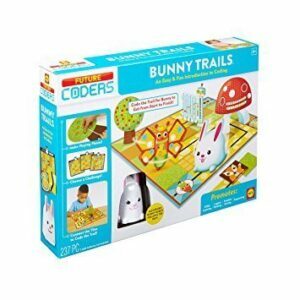 Young children will be fascinated to watch the robot bunny follow the path they have made around the game board. The board game is recommended for children over the age of 4 years old, and it a great way to beat boredom once the excitement of Christmas is over. Kids will love to have a new activity to try out with parents or older siblings. Parents will love watching their children learn new skills – games like these are a great way to prepare for future learning at school. There is a huge range of gifts which would be ideal for boys in this age group. We’ve narrowed it down to a few of the best toys and games, to help you make the best choice. 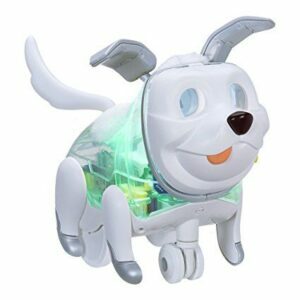 This robot dog toy can be coded by using the compatible app. Kids can first enjoy building the pup – it comes unassembled in 8 pieces. The toy is recommended for children over the age of 6 years old, and will continue to provide entertainment for years. The app can be used to make the toy more interactive and customized, to make a unique playing experience. Kids can code a routine for the pup to perform, and they can also change how the pet responds to different commands. The appearance of the pup can also be customized, by using controls on the toy itself. The sounds, color, and eyes of the dog can be altered in this way, making each pup one-of-kind! The interactive robot’s app is available on Apple and Andriod systems. It allows the pup to perform a huge range of sounds – over 400 – as well as 100+ eye animations! Your son will be able to create is very own ultimate pet with this toy. 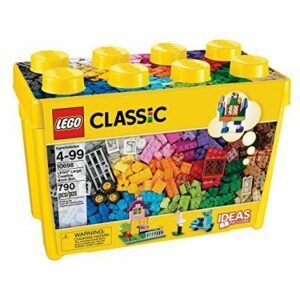 This Classic Lego box is perfect for those just getting started with LEGO. It is safe for children as young as 4 to use, and will provide hours of entertainment for years to come. Kids can make anything they can dream up with this box of nearly 800 pieces. As well as a range of different colored bricks, there are also base-plates, eyes and tires to ensure you can make almost anything! Parents will love how neatly all the LEGO bricks fit back into the handy storage box. It comes with some ideas for models which can be built from the set, but it’s also great for encouraging free, imaginative play. This set is the perfect Christmas gift for children of any age, as it can be added to for later Christmases and birthdays. If your child already has some LEGO sets, this is a great addition thanks to the range of extra pieces. On the other hand, it can also be added to if your child is getting on well with it. For example, you could add a set based on their favorite things, for example, Star Wars. 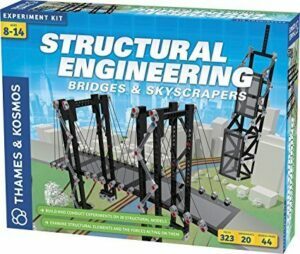 This kit is great for budding engineers. It can be used to build 20 different models, which show children how force, tension and more, work. There are almost 300 pieces, to keep your child entertained for hours and hours. It also includes a long guide showing how to assemble to models as well as experiments which can be done with them. The building toy is more aimed at kids aged around 8 and over who are interested to learn how things work. It is more of an educational toy rather than a fun building kit like LEGO, but nonetheless, it could be used with other toys to create something really exciting. Younger children might like to use cars and action figures to engage with the models after building them. Older kids will love to understand the phenomenon being demonstrated, and it will also help with science classes in school. This is a great game for the family to play over the festive period and beyond! It is great for keeping siblings entertained, and stop any arguments which usually happen during the holidays! The laser guns have loads of cool features sure to be loved by children, and even adults, of all ages! If you manage to make a hit, they gun with light up, vibrate and play sounds. 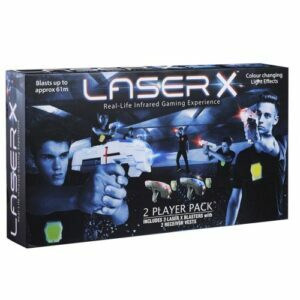 The infrared laser guns can be used by as many players as you like. There is the option to select team play or free-for-all. Additional sets can be purchased and will work together fine. The game is easy for younger kids to play, but can also be made difficult for older children or adults. This is because you can select how many times a player has to be hit before being out of the game, so younger players can take more hits before being out to make it a little easier. 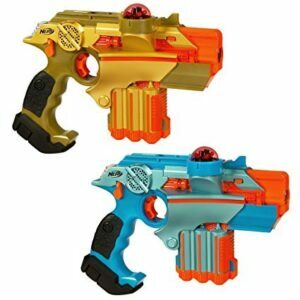 Each laser gun requires 6 AA batteries, so it’s worth stocking up on rechargeable batteries if you want to start using them straight away. Batteries do last well even when being used regularly, so don’t be put off by how many you will need. 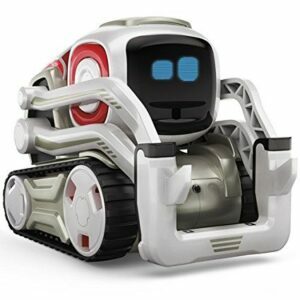 This best selling robot is perfect for kids who love to keep up with the latest tech. It requires a compatible Apple or Android device, to download the free Cozmo app onto. There are different modes which can be used, for example, playing games against the robot, or head to Explorer Mode to see things the way he does. Even the youngest robot fans can enjoy this cool toy – it has been thoroughly tested to ensure it can stand up to lots of heavy use. The more your child grows and develops, the more Cozmo does too. He can explore, plan and get to know his new family! The software is always being updated too, to make sure there are always new things for both Cozmo and your child to try out. The programmable robot toy is great for kids to learn the basics of coding with. All you need to do to create a command is drag and drop some blocks on your device, and Cozmo will obey. This is great to introduce the basics of coding to younger kids, in a fun and exciting way. They will love to see their creations come to life, and be encouraged to try more and more complicated moves. Overall, this is a great gift for pre-teen boys who are fascinated by anything tech-related. They will love to have their very own robot, and it will be sure to keep them entertained for hours! 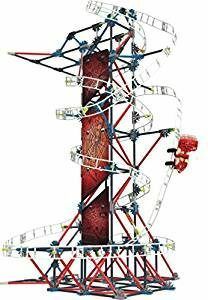 This huge K’NEX set has over 400 pieces, which fit together to make a 2.5 feet tall coaster. There is a battery-operated car which fits onto the track and can travel both horizontally and vertically. Simply turn the model on its side and you have a whole new toy! You can even turn out the lights to watch the model glow in the dark for even more fun! The building toy comes with easy-to-follow instructions and you can also build another model, the instructions for which can be downloaded online. The product is recommended for children aged 9 years old and above. Building a K’NEX model is a great way for young boys to spend some quality time with mom or dad. The car takes a little while to charge, so plug it in before you start building, so it will be ready to test as soon as the coaster is built! 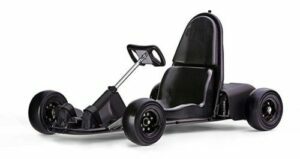 This Smart Go-Kart is perfect for younger drivers aged around 5-9 years old. The Kart can be controlled via an app installed on the parent’s phone, to ensure children are safe when learning to drive. The app is compatible with iOs and Android, meaning most devices can be used. The kart can reach speeds of up to 12 mph, and can drive for up to 40 minutes on a sing charge. Elements which can be monitored by the app include speed limit and where the kart can actually go. Parents can set boundaries for areas they know are dangerous, and if the kart enters these areas it will slow right down. The app also allows parents to perform an emergency stop on the kart if their child is getting into danger. There are sensors on the kart which ensure it will stop if it detects it’s going to crash into an object. This smart go-kart is great for growing kids as the pedals are adjustable as your child gets taller. It can be customized by adding extras, such as a double-life battery. Kids who want to race like a pro can add the Formula Racecar boy kit, or the Drift Kit. If you are looking to splash out on your child this Christmas, the Arrow Smart Kart really is an excellent choice. This modern edition of the classic board game is a great gift for boys who have everything. It’s a great change from tech-related gifts and toys and a fantastic way for the family to spend quality time together over the holiday season. This version of the game offers many advantages over the original. The board spins easily to allow players sitting on opposite sides of the table to easily see it when it is their turn. The tiles remain securely in place when the board is being turned, meaning no more messed-up words. This board game is great for those short on space, or who wish to take it to friends’ or families’ homes. It comes in its own carry case, complete with storage drawers to keep the accessories in. The carry case opens up to become the board, and the wheels on the case allow the board to rotate once opened. 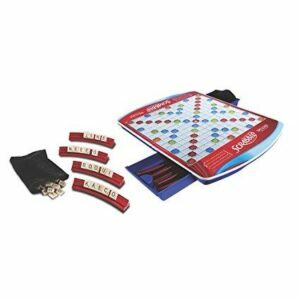 This gift will give the whole family years of entertainment and is an excellent version of a classic board game. 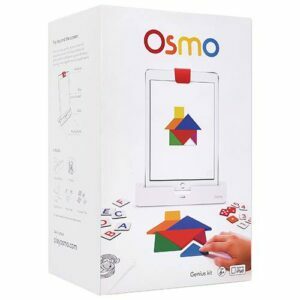 For those who already have Osmo games, this is an excellent addition. For those who are new to the system, it is essentially an iPad-based physical gaming system, which aims to be fun and educational. The game comes with 6 cars, some game tokens and launchpad for the cars to race on. The interactive game can be played in solo mode, or along with friends and family. It makes a great, unique addition to a family board game night! The game offers an interesting mix of physical play and what appears on the screen. After racing down the ramp, the car ‘enters’ the screen, but players must use the game tokens to control their car. The game is for children over the age of 7 years old, and up to the age of 12. 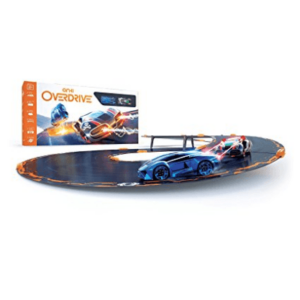 The cars are genuine Hot Wheels racers, so the game is perfect for fans and collectors. At the moment, it is only compatible with the iPad, and not other brands of tablet. Teenage boys can be difficult to buy for at Christmas. Here, we have rounded up a selection of toys and gadgets that we think your teen will love. This easy-to-fly interactive drone makes an ideal first drone for young teens. It is good for indoor use, as it has a height and distance limiter built in, to ensure it doesn’t get out of control. The safety frame is great for beginner fliers, as it ensures the propellers won’t get caught on anything, or become damaged if it bumps into something. 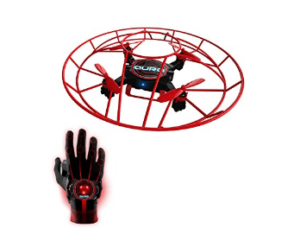 The drone can be used to perform tricks – simply flick your wrist to perform a 360 flip. The glove also features LED lights which flash in response to the user’s hand movements to add to the fun and excitement. It is made of stretchy fabric to ensure it fits most hand sizes and can be worn on the right or left hand. There are lots of useful accessories included with this beginner’s drone. It comes with 2 batteries so one can be charging whilst the other is in use. This is handy because the flight time lasts 10 minutes on a fully-charged battery. It also comes with a full set of spare propellers in case of accidents. This unique racing game is perfect for older boys who love to keep up with the latest tech. The supercars are controlled via a smartphone (either iOs or Android, with WiFi enabled), for a one-of-a-kind racing experience. Users can race against friends and family, or play solo against an AI-controlled vehicle. The more you play, the smarted the AIs become, adapting to your racing style to try and beat you! There are a few different modes to play in, to ensure the game doesn’t get tiring, such as battle or time trials. This toy is great for older kids at Christmas, as the cars take less than 10 minutes to charge and will run for up to 25 minutes afterward. Also, the track is easy to set up – the magnetic pieces easily fit together, and the app shows you how to play. There are expansions available, making this a great gift as it can be added to over the years. More tracks, cars, and trucks are available, with the range expanding all the time. The software is constantly being updated, to ensure the game doesn’t get boring. There’s the possibility to customize your weapons and accessories, to keep outsmarting your opponents. 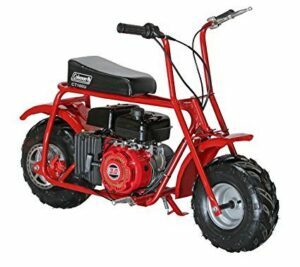 This mini bike is perfect for young teens who can’t wait until they are old enough to have a ‘real’ dirt bike. The 98cc engine ensures it still packs a punch – this is not a toy for young kids! It can be used by riders weighing up to 150 pounds, meaning even small adults can take a ride. In fact, it is comfortable for those up to around 5’10” tall. The small trail bike can reach speeds of up to 25 mph on flat, smooth ground. Make sure your child can handle this before letting them go flat out alone. The bike itself it easy to operate for beginners. It features an easy-to-use pull start, and rear disc brakes, operated by a handle. The kids’ off-road bike is perfect for those on a budget – it is very efficient on gas even when riding on the trails. This unique take on traditional slot car racing makes a great gift for teenage boys who are hard to please. It includes 4 cars with remotes, meaning up to 4 players can race at once. The track measures an impressive 18 feet in length altogether, to make for a long and exciting race. 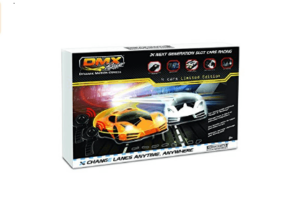 Unlike traditional slot racing, with this set, you can switch lanes and pass and block opponents at any point on the track. The cars are controlled by a pistol-type controller, which features a trigger for acceleration and a knob to turn to change lanes. Each controller has 4 different channels, so you can ensure that they won’t interfere with other cars. There are extra track pieces available so you can expand the set and make even longer and more interesting races. This is a great toy to keep all the family entertained at Christmas and the whole year round. This gamer edition of the classic board game is perfect for all Mario fans. It comes with all the features of the original edition but in a Nintendo theme. 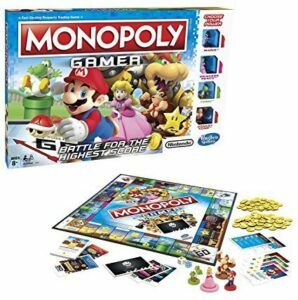 Coins are used instead of the usual paper Monopoly money, and the tokens are 4 of the best-loved Mario characters. Even the dice have been changed to fit the theme – one is normal whilst the other shows which power-up your character will receive. This adds an extra challenge to the game, making it perfect for a slightly older audience. It’s possible to purchase ‘power packs’ which give extra characters meaning more people can play. It’s also possible to team up with other characters and play as teams, to make the game more interesting and challenging. Board games are great for Christmas, as they bring the family together in a fun and light-hearted way. Monopoly is a particularly good choice, as the game lasts longer than some other board games, to keep everyone entertained for longer! This is an excellent board game for teens over the age of 16 years old. It can be played by 3-5 players, making it perfect for sharing with friends, or for playing with parents and other family members. It offers 4 different escape rooms to play, to ensure there’s plenty of variety. The battery-powered times shows how much time is remaining out of the 60 minutes allocated. This gives an intense feeling, just like being in a real escape room! This is a great gift, as it can be added to at a later date. 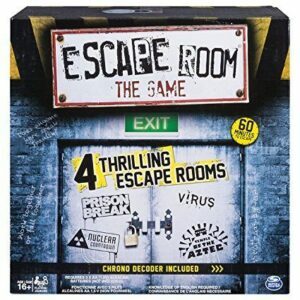 There are expansion packs available, which offer different escape room scenarios to play. It’s a great gift for teens who have everything. Parents will love to see their teenager interacting with others rather than being glued to their gadgets! It’s a cheaper alternative than visiting a real escape room, too. This is a great toy to entertain and challenge young teens. It is sure to be popular with any Star Wars fan – they will love to see their droid come to life before their eyes! It is ideal for older children as it requires an app to be downloaded onto their smartphone (currently compatible with iPhone and Android devices). The instructions for putting the droid together are given step-by-step on the app, in the form of 3D videos. This makes it easier to follow than tradition paper instructions given with building toys. 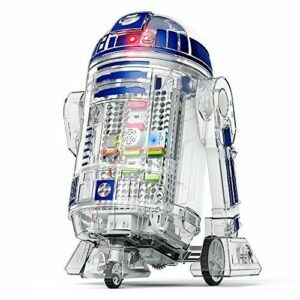 Once your child has built the droid, they can the customize their own droid, or teach their droid new skills. The droid can learn how to turn its head and self-navigate – something kids will love to watch! Young teens will feel proud when they manage to build and train their droid by themselves – it is designed to be done by kids without any adult help. This is the ultimate robot toy for any fan of Disney’s Cars, young or old. 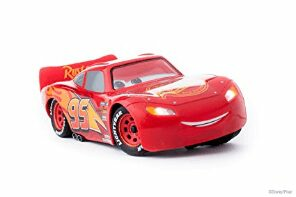 It claims to be the most realistic Lightning McQueen model on the market, and we agree. The robot moves just like the real thing and even has the same ‘personality’. The car can even sense when you make contact with it, responding to a touch on the roof, hood or sides. The model can connect to the compatible app to allow it to be used like an RC car, with moves just like the real character from the movie. The car will even interact with humans when watching Cars 3 together! The car features working headlights and LED eyes to really make it come to life. It can reach speeds of up to 6 mph, and has a range of around 30 meters. The toy is great for kids who can’t wait to start playing at Christmas – it takes only an hour to charge, which then gives around 40 minutes of play time. If you’re planning to take this toy out and about, it’s a good idea to invest in the matching storage case from Life Made Better. It offers loads of protection for the delicate toy, and neat slots for the accessories to fit in. 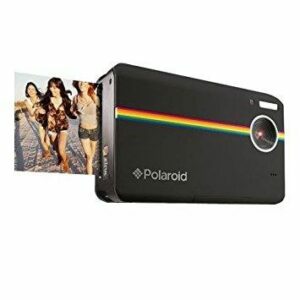 A Polaroid camera is a great gift idea for teens who love taking photos on their smartphone. The camera is nice and compact for taking out and about, and offers the option to print photos instantly. It’s great for going out and about with friends – kids can instantly give their friends a copy of the photos they take. The Z2300 comes in a choice of 5 different colors, so there’s sure to be something to suit every taste. The specs of the camera are great for the price, too. It offers a resolution of 10 MP, and features a 3″ LCD screen to view images. The print-outs are 2×3″ in size, and printing one takes under a minute. For teens who take a lot of pictures, this is a perfect choice. It is compatible with SD cards, meaning the memory of the camera can be expanded to up to 32GB, enough to store thousands of photos. The camera is a great gift, as others can buy your teen accessories to go with it, such as a case or printing paper. It is a great idea to give this as a gift at Christmas, as your teenager will be able to capture loads of family memories. Why not get them a photo album or scrapbook to go with it? For those looking to spend a little more on a fun, educational gift this Christmas, the Osmo Genius Kit is the perfect choice. It grows with kids as they learn more about the different elements, meaning they will be able to enjoy their present for years to come. The availability of expansion packs makes it a great gift, enabling parents to choose other products for their child in the future. It also means the child will never tire of playing with this game. The only downside of the Osmo Genius is that it requires an iPad to play, but it makes the perfect gift for any family who already own one. 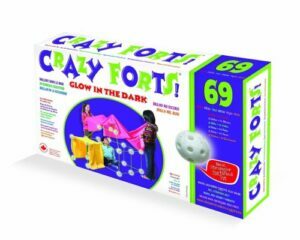 If you’re on a limited budget, you can’t go wrong with the Crazy Forts set. Perfect for kids of all ages, it’s sure to provide hours of entertainment, both at Christmas and throughout the year. This product also has expansions available, allowing children to create different shapes and sizes of fort. The Crazy Fort set is a unique product which allows children to practice their construction skills, as well as encouraging imaginative play. It also allows kids to create a space just for themselves, where they can escape from the business of the festive season! The toy can be used outside, or could be used to create a cozy reading den, meaning it’s flexible to your child’s interests. This is a fantastic educational toy for kids aged around 5 to 10 years old, but it is only suitable for use in conjunction with an iPad. It teaches kids about drawing, numbers, solving puzzles and many more skills, in a fun way. Kids will be learning without realizing because they’ll be having so much fun! There are varying levels of difficulty on the program, which means children will get years of use out of this product, providing excellent value for money. There are excellent expansion packs available for purchase separately which provide even more fun learning opportunities. For kids who are really interested in technology, there is even one pack which introduces coding, allowing children to program their own iPad. The availability of these expansion packs makes the Osmo Genius Kit a perfect gift, as parents or other relatives can add to it for future birthdays or Christmases. 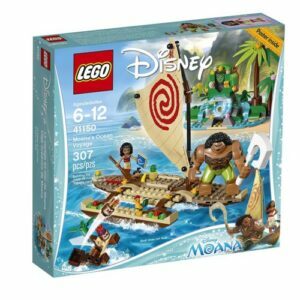 Disney fans of all ages are sure to love this fun LEGO play-set. The set features a boat and an island as well as figures and accessories, making this perfect for Christmas as it can easily be shared with other children. Fans of the movie will love re-enacting their favorite scenes as well as making their own scenarios. LEGO makes a great Christmas gift as it is loved by children (and even adults!) of all ages. Like the Osmo Genius above, LEGO sets can be added to at later dates and used in conjunction with other kits the child may already have. With over 200 pieces, this set is sure to keep kids amused for hours – they’ll love being able to take goodies on their voyage using the storage compartment under the boat! 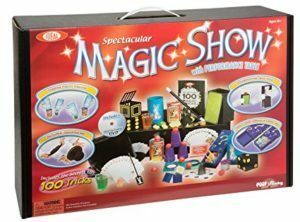 A magic show performed by the kids is the perfect end to a Christmas dinner, and with this fun kit they’ll be experts in no time! An instruction DVD featuring a real magician is included, which makes this perfect for kids who may be unable to read and follow written instructions by themselves. The suitcase which holds the equipment also doubles as a table to perform the tricks on. This product is also perfect for dads and granddads who want to find a fun activity to do with the kids – younger children will be amazed at the show you can put on for them! 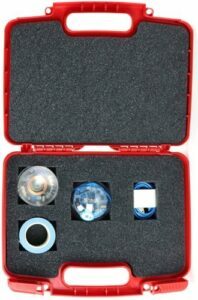 The magic kit provides excellent value for money, for 100 tricks. The set is recommended for kids aged 7-8 and above, and will be sure to provide many hours of entertainment. Magic sets are perfect for both boys and girls, and are an ideal way to give quieter kids confidence as they will be desperate to show off their new-found skills. This is a fascinating and unique product that makes a perfect Christmas gift for boys and girls of all ages. It features a range of sticks and balls which can be joined together in several different combinations to form the foundations of a fort. Simply add some sheets and your child will have their very own secret hangout! This is perfect for Christmas because kids can easily build the fort together and make up fun imaginative games to play inside it once it’s ready. Disassembled, it takes up very little space making it an ideal gift for parents who may worry about where they’re going to store all their kids’ new toys. There are different sets available which can interlink with this one to make even bigger and better forts, meaning it can be added to as the kids get bigger. Parents will be delighted to get their furniture back as the kids will no longer need to use it to make their forts with this great set. This game is perfect for families with children who never talk at the dinner table – it’s also ideal for slightly older kids who are addicted to their gadgets. It’s also great to take in the car thanks to its compact size, making it perfect for long journeys at Christmas to visit family or friends. Kids will love asking and answering questions with their friends too – it’s the perfect product for helping people of all ages know one another better. After using the cards for some time, parents and children will become better at having their own conversations without the use of cards as prompts, or why not cut up some paper and get the kids to write their own questions? 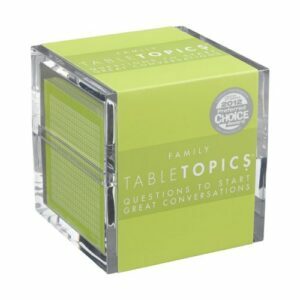 This set can be used every day as there are over 130 questions, meaning plenty of new conversations to be had. You can use the set as your child grows older and see how their answers may change. Parents and children are sure to discover some new facts about one another after playing with these thought-provoking cards. The Zoomer Kitty is an interactive robotic cat which acts just like a real cat! It can follow it’s toy, which is included, and it loves to be petted, responding with life-like purring sounds and motions. There are different colors and styles available meaning there’s something to suit everyone. There are even different animals so those who don’t like cats are catered for too. It’s recommended for kids aged 5 and above, but kids much older than 5 will be sure to love the kitty too. This is the perfect gift for a boy or girl who can’t have a real cat due to allergies or location for example. It’s sure to delight cat-lovers of all ages, perhaps even the parents! The toy has to be charged up via a USB charger, but unfortunately it only lasts around 30 minutes on a full charge. However, the charge time is also around 30 minutes meaning you don’t have to wait long for the fun to begin! The Sphero is perfect for any age of child, as there are varying levels of difficulty. Older kids who are really interested in learning about programming can do so through this fascinating educational toy. This programmable robot has a decent battery life, providing an hour of play time on a single charge. Parents will love this toy too, as it is waterproof and scratch-resistant, and there is the option to purchase protective covers for the ball. Also, parents can ‘assign’ tasks to their children, enabling them to learn new programming commands by themselves. It’s compatible with both Apple and Android systems, making it suitable for the majority of households. There are endless possibilities with the Sphero SPRK+, making it the perfect Christmas gift to grow with your child and provide years of entertainment and education. Laser tag is a fun game for kids of all ages and adults will love to join in too! This is perfect for Christmas, as multiple sets can be used together meaning there can be an unlimited number of players. The target vest fits all sizes, and there is a long range of up to 200 feet, providing lots of opportunities for team games. This set is the perfect gift for those who have never played laser tag before, as it has the option to connect headphones and receive tips and feedback throughout game-play. There are also sound effects played through the headphones making the experience even more fun and realistic. The Laser X set is a great choice for kids who are looking for something a bit different this Christmas, and their friends are sure to be impressed when they next come round to play! The giant version of this popular game makes the perfect Christmas gift for families. Its large size means that lots of people can gather round the table to play without struggling to see. The game is easy enough for kids to learn but also tricky enough that adults won’t get bored playing it. The playing mat is high quality, meaning it can be used over and over again without the fear of it getting torn or damaged, as many board games often do. This game is perfect for Christmas because it is very quick to set up and learning the rules is equally fast. 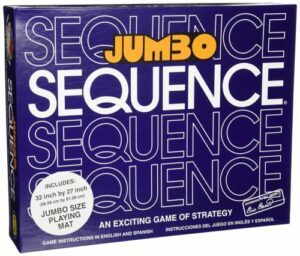 Sequence can be played with up to 12 players, so it’s ideal for when there are lots of guests at Christmas, but can be enjoyed just as much with as little as two people.